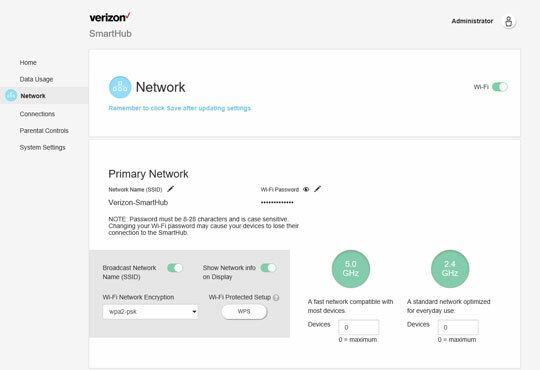 To view or change network security settings (e.g., Wi-Fi password, number of connected devices) for your SmartHub, see this info. 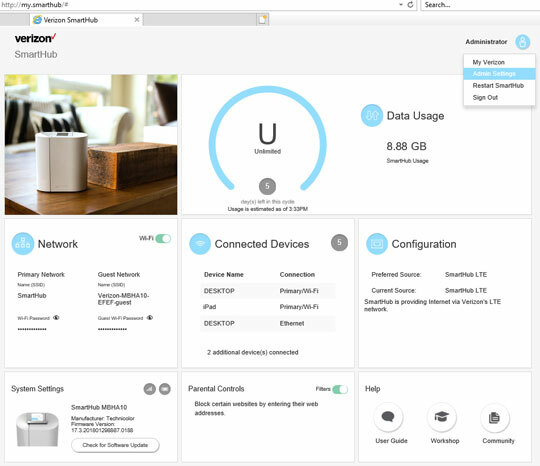 From the Smarthub Home screen, click Network . Click the View icon to display or click the Edit icon to modify the current settings. 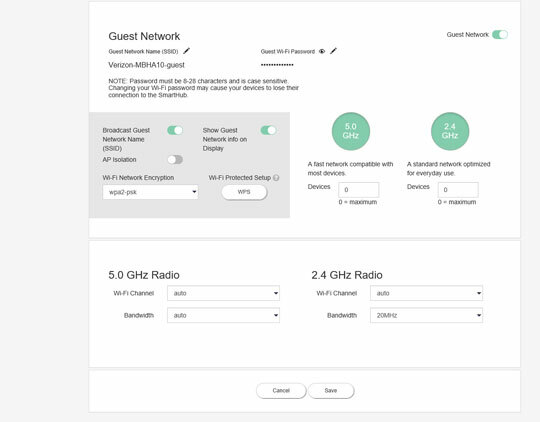 Click the Broadcast Network Name (SSID) swtich to turn on or off . Click the Show Network info on Display swtich to turn on or off . For additional info, check out these SmartHub & Verizon Home FAQs.